Colleges are enduring institutions, deliberative in their processes and informed by tradition. 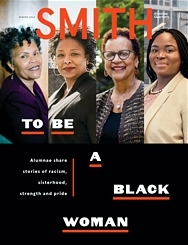 But the best ones—Smith among them—are constantly alert to the larger societal imperatives and long-term trends that shape their work. It is in that spirit that the board of trustees and faculty recently undertook the Futures Initiative, a strategic-thinking project focused on 2020 and beyond, intended to ensure that the decisions we make today position Smith for optimal success. The first area we explored was financing. It is likely that the traditional financial model for higher education will come under stress as pressures intensify on federal and state budgets, investment growth remains uncertain, and resistance to tuition increases grows. Families will face difficult choices, and colleges will have to determine how to meet the growing need for financial aid. Smith will need to scrutinize its own cost structures and enrollment strategies in order to maintain its commitments to access, excellence, and diversity. To this end, the board will devote its attention in 2011-12 to a focused consideration of enrollment planning and policy. The second area on which we focused was demographics. In the next twenty years, shifts in demographics will produce college populations markedly different from today. The United States will see substantial growth among Hispanic populations and in the Southwest, West, and Southeast. At the same time, countries growing in wealth outside the United States—China, India, Brazil, Russia—will generate increased demand for higher education. The higher education market will become truly global, with students electing all or part of their study in institutions around the world. Many universities—American and other—will have campuses in multiple parts of the world that serve students in residence and via technology. In this increasingly global world, Smith will broaden and deepen its global initiatives, increasing its recruitment of international students and opportunities for students abroad, in part through strategic partnerships with universities, schools, government agencies, corporations, and NGOs inside and outside the United States. The third area of focus was the pathway toward an undergraduate degree. We anticipate that an undergraduate education, now commonly undertaken in four nine-month “academic years” years on a physical campus, will become a more discontinuous, self-scheduled and customized experience. Driven in part by the high cost of residential education, students will combine study at public universities, community colleges, online institutions, and residential colleges—and seek credit for these experiences. At the same time that some elements of undergraduate education become “unbundled,” and wireless connectivity provides access to a wealth of pedagogical resources, many students and families will continue to value place-based, face-to-face education for the way in which it develops critical thinking, leadership, and engagement with cultural, religious, and ethnic diversity. 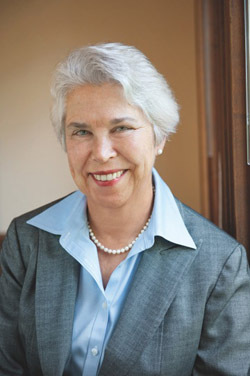 In this context Smith will seek to be a leader in the development of programs and policies that allow students flexibility in the design of their education. We will identify markets for enrollment of non-degree students in existing Smith courses and programs, while we assess ways of reducing the time and/or the expense of an undergraduate degree for students who opt to do so. Even as we pursue innovation, we will seek to maximize the distinctive value of a residential college because we believe that valuable learning happens in community. Finally, we considered expanding our educational footprint. At the same time that traditional four-year undergraduate education may become increasingly discontinuous, pre-baccalaureate and post-baccalaureate education will gain in market share. Many students will seek “early college” experiences, and workplace competitiveness will put a premium on graduate and professional degrees and certification. Campuses will become active year-round, as institutions seek to diversify their revenue streams. Accordingly, Smith will seek to leverage its academic assets to offer programs across the lifespan that enhance its reputation and revenue structure. In this balance, Smith will always make sure that mission, excellence, and reputation guide selection of revenue opportunities.